The Enforcement Directorate or ED had opposed Christian Michel's plea seeking permission to meet Ms Rosemary, who was present in the court today. A Delhi court today allowed Christian Michel, alleged middleman arrested in the corruption-tainted AgustaWestland VVIP chopper deal, to meet his Italian lawyer-friend Santrolli Rosemary Patrizi Dos Anjos. Special judge Arvind Kumar allowed Ms Rosemary to meet Christian Michel in Tihar jail as a "general visitor" for half an hour from Monday to Friday. 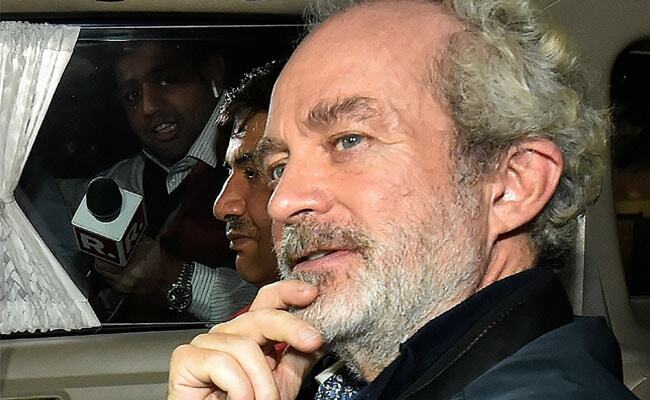 Christian Michel, extradited from Dubai, was arrested by the Enforcement Directorate on December 22 last year. On January 5, Christian Michel was sent to judicial custody in the ED case. He is also lodged in judicial custody in the CBI case related to the scam. Christian Michel is among the three alleged middlemen being probed in the case by the ED and the Central Bureau of Investigation (CBI). The others are Guido Haschke and Carlo Gerosa.